The deadline for introducing legislation in the second year of the 2017-18 legislative session was last month. Health Committees in both houses begin bill hearings this week on 2018 bills and on two-year bills that remain eligible for action. SB 910 (Hernandez) – Prohibits short-term, limited-duration health insurance. Sponsor: Health Access. SB 1108 (Hernandez) – Prevents California from including work requirements, waiting periods, time limits, coverage lockouts and other limitations in any Medi-Cal waiver or pilot. Sponsor: Western Center on Law and Poverty. SB 1287 (Hernandez) – States legislative intent to regulate association health plans to the extent permitted by federal law. 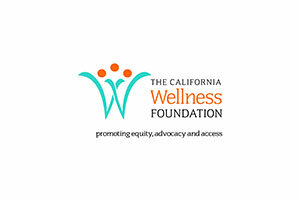 AB 2430 (Arambula) – Expands Medi-Cal eligibility in the Aged and Disabled Program, extending Medi-Cal to all legal resident and U.S. Citizen adults at or below 138 percent of the federal poverty level (FPL). Sponsors: Western Center on Law and Poverty and Disability Rights California. AB 2459 (Friedman) – States the legislative intent to cap the percent of income any Californian pays for health care premiums. AB 2502 (Wood) and AB 2566 (Chiu) – States the legislative intent to contain costs while improving health outcomes and reducing health disparities. AB 2517 (Wood) and AB 2565 (Chiu) – States the legislative intent to improve affordability for those in Covered California with incomes under 400 percent FPL who are currently eligible for federal premium tax credits. SB 974 (Lara) – Expands eligibility for full scope Medi-Cal to all eligible Californians regardless of immigration status. Sponsors: Health Access and California Immigrant Policy Center. AB 1795 (Gipson) – Allows emergency medical services providers to transport patients directly to a mental health urgent care center or sobering center, when appropriate. Sponsors: Los Angeles County and California Hospital Association. AB 2156 (Chen) – Expands the definition of “gravely disabled” for the purpose of determining involuntary commitment or conservatorship. Sponsor: Los Angeles County. AB 2287 (Kiley) – Creates a new Office of Mental Health Services within the California Health and Human Services Agency to assume some of the functions currently performed by the Department of Health Care Services. AB 2384 (Arambula) – Requires health plans, including Medi-Cal managed plans, to include specified prescription drugs for the medication-assisted treatment of substance abuse disorders in plan drug formularies. Sponsor: California Medical Association. AB 2487 (McCarty) – Requires physicians to complete an opiate-dependent patient treatment and management course, including instruction on the use of buprenorphine treatment, prior to certification. AB 2333 (Wood) – States legislative intent to bolster mental health response from the state Office of Emergency Services during state-declared emergencies. Sponsor: Steinberg Institute. AB 2576 (Aguiar-Curry) – Among other things, allows the Governor to direct state agencies to use state personnel and facilities in support of community clinics and health centers responding to state emergencies. Sponsors: California Health+ Advocates and Redwood Community Health Coalition. AB 2941 (Berman) – Requires health plans to ensure enrollees have access to medically necessary health care services when displaced by a state emergency. AB 11 (McCarty) – Requires the Early and Periodic Screening, Diagnostic, and Treatment program to include developmental screening services for infants and toddlers age zero to three. Sponsors: First 5 LA, Children Now, and First 5 Association of California. AB 595 (Wood) – Strengthens the Department of Managed Health Care authority over health plan mergers. Sponsor: Health Access. AB 893 (Garcia) – Permits Office of Statewide Health Planning and Development to receive data on the number of graduate medical education slots necessary to meet current and future physician needs in Imperial County and similar medically underserved counties. AB 1526 (Kalra) – Limits the actions that may be taken, and establishes consumer notice related to, collection activity on old debts, including medical debts. Sponsor: Western Center on Law and Poverty. SB 399 (Portantino) – Expands the types of qualified health professionals that can provide services covered by health plans and provided to individuals with autism. SB 456 (Pan) – Allows federally qualified health centers or rural health centers to enter contractual agreements to provide services on behalf of Medi-Cal beneficiaries outside of the clinic’s normal Medi-Cal reimbursement structure. Sponsor: California Health+ Advocates. SB 562 (Lara and Atkins) – Enacts the Healthy California Act and creates the Healthy California program, to provide for comprehensive universal single-payer health care coverage and a health care cost control system for the benefit of all residents of the state. Sponsor: California Nurses Association. SB 707 (Cannella) – Establishes a Denti-Cal advisory group within the Department of Health Care Services (DHCS) to advise DHCS and the Legislature on the Denti-Cal program, with the goal of raising utilization rates and improving the oral health of the Medi-Cal population. ITUP will be monitoring the progress of these and other health care bills as the second year of the 2017-18 legislative session continues.